Once you are in Madrid, you have to take a day and get to know Toledo, a unique UNESCO World Heritage Site, a beautiful and have-to-see ancient city. During this 8 hour private tour, enjoy with your private official tour guide a complete and exhaustive visit of Toledo comfortably in your private vehicle with driver. See attractions like Cathedral of Toledo, and Toledo’s old town area. After Toledo, heading back towards Madrid, enjoy a visit of the Royal Palace with your official tour guide. Enjoy this private 8-hour tour with your official your guide and get to the UNESCO World Heritage Site of Toledo & Royal Palace of Madrid very comfortably in your private vehicle with your driver. The tour will start off by picking you up from your hotel or place of choice in central Madrid and then travel comfortably to Toledo. 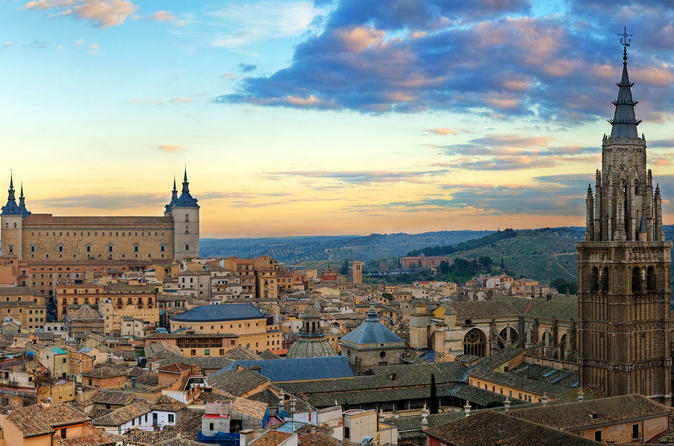 Toledo is an ancient UNESCO listed city since 1986 for its extensive cultural and monumental heritage and historical co-existence of Christian, Muslin and Jewish cultures.